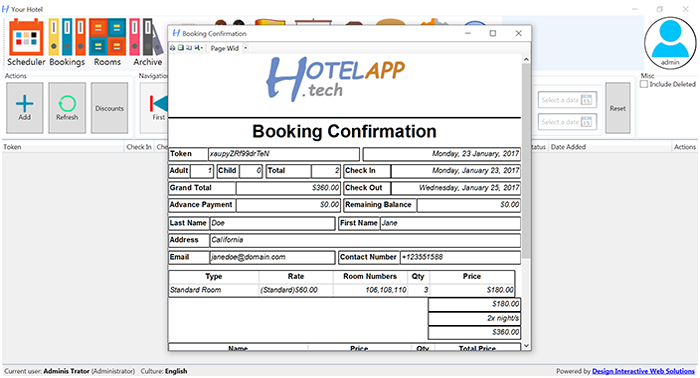 Skip the tedious work of managing bookings of your guests, equip yourself with HotelApp the most efficient way to make reservations and bookings. 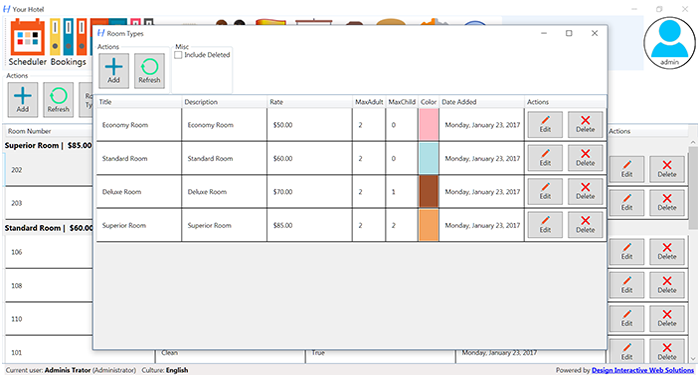 Easily distinguish your booked and reserved rooms with this color coded scheme. 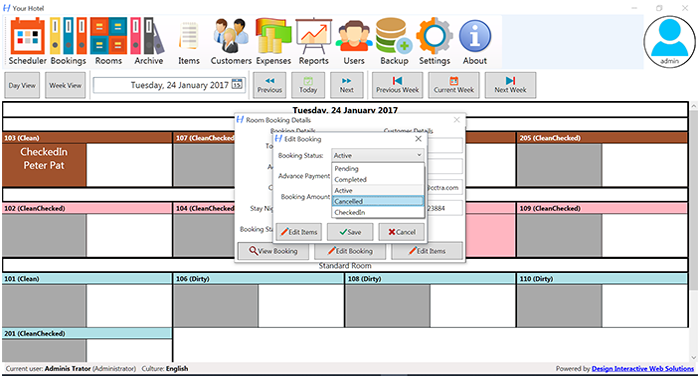 No need to worry of data loss, this system allows you to backup your data at a monthly, weekly, daily and even hourly basis. Everything you need to run your hotel is here. 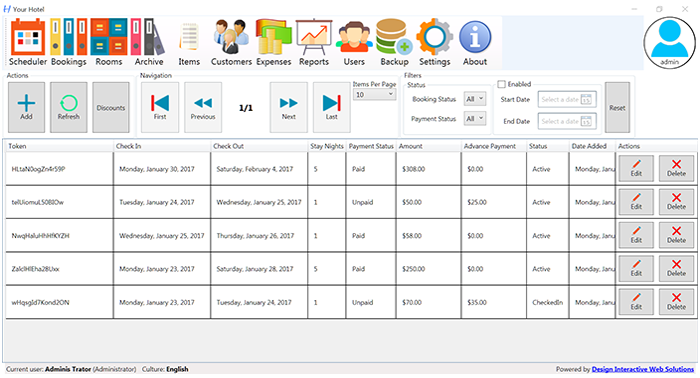 Generate sales report, booking report, expense report with a few click! 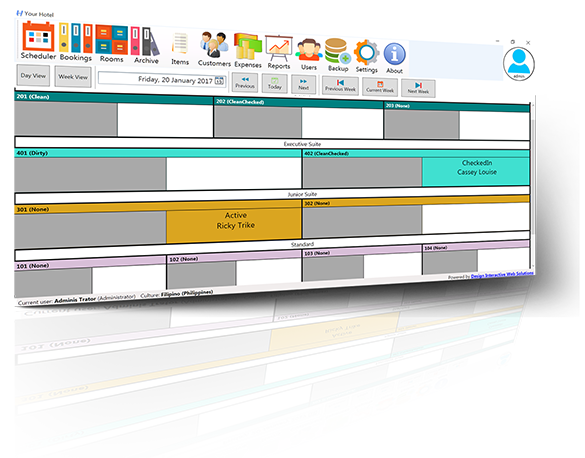 Choose between the week view and the day view to check on booked rooms. 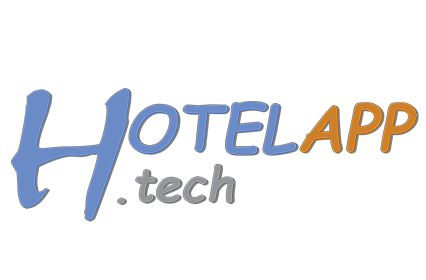 Make this application yours, set your own logo and add your hotel information.